New Delhi: Overriding concern for safety, improvement in passenger amenities and big investment in infrastructure are slated to be the focus for the railways with the Narendra Modi government expecting to loosen the purse strings in its last full budget ahead of the 2019 general elections. There is unlikely to be any fare hike or announcement of new trains. The consolidation of all major initiatives in the last three years will be reflected in the Budget 2018-19 to be rolled out on February 1. The operating ratio (OR) is slated to be 95 per cent for the next fiscal as against the 96 per cent in the current financial year. The financial health of the railways is determined by its OR, which indicates how much the railways spend to earn a rupee. An OR of 90 per cent means 90 paisa is being spent to earn 100 paisa. There will be provisions for manufacturing of electric locomotives at Diesel Locomotive Works (DLW) at Varanasi and Diesel Component Works (DCW) at Patiala to cater to the growing demand of electric locos in the coming years. Since the railways has decided on electrification of the entire rail route and phasing out of diesel locos in a gradual manner, there is a need for manufacturing of electric locos in large numbers. The railways have registered a growth of 1.4 per cent on passenger bookings and 6.9 per cent in goods loadings till December 2017 as against the previous year. In a major thrust to modernisation, the budget is likely to earmark Rs 95,000 crore for overall upgradation in the rail infrastructure including signalling automation, replacement of age-old tracks and other assets. Amid the rising global crude oil prices and dipping of the GST collections, Finance Minister Arun Jaitley is expected to do a tightrope walk while presenting the Budget. Though there are widespread expectations of the middle class for lightening of the tax burdens, the government is likely stick to its fiscal consolidation measures to curb fiscal deficit. It is learnt that Jaitley will not spell out the every detail of the allocation for the railways but read out only operating parts that focus on major expenditure on various heads, revenue earnings and projected growth in goods and passenger sectors. The budget is likely to witness an increase in the plan allocation from Rs 1.31 lakh crorre to about Rs 1.46 lakh crore, while the gross budgetary support (GBS) is also expected to be around Rs 65,000 crore against Rs 55,000 crore in 2017-18. Railway Minister Piyush Goyal has said time and again not to depend upon the GBS and emphasised the need to generate enough funds from internal resources and the market. Monetisation of transmission assets, commercial exploitation of surplus land and creation of new avenues for ad revenue are some of the measures being undertaken to maximise earnings. While borrowing was pegged at Rs 40,000 cr in the last budget, this time it will go up further to fund capacity enhancement plans of the railways. 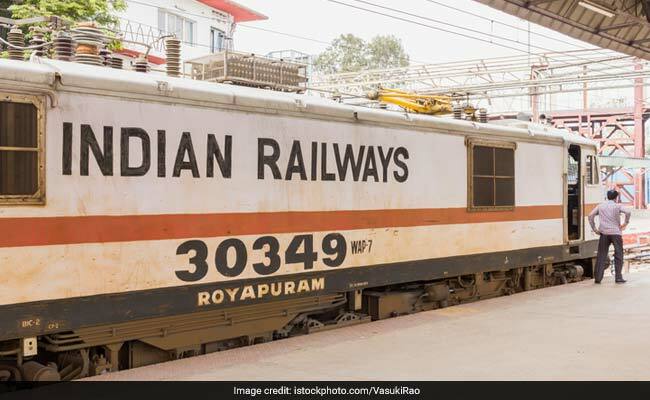 The railways will make a provision of around Rs 3,000 crore in its budget for 2018-19 to install CCTV systems in all 11,000 trains -- including premier and suburban services -- and all the 8,500 stations in the Indian rail network. Though the cross-subsidy for passenger service is more than Rs 30,000 crore a year now, the state-run transporter will still include many initiatives to upgrade amenities at rail premises, including Wi-Fi at all stations, SMS alerts for all trains and revamping of the ticketing website, among others. Aiming to provide better amenities, there will make a provision for installing about 3,000 escalators and 1,000 lifts at all major urban and suburban stations across the country. With safety getting top billing, complete automation of the entire signalling system is likely to get the nod among other safety related measures in the forthcoming budget. The construction of new lines, gauge conversion and doublings besides massive electrification will continue to be part of the infrastructure development plan. There is also expected to be adequate provision for capacity enhancement of the railways to step up the growth momentum as investment in the sector is crucial to continue the country's growth trajectory. With the volatile market at hand and the agri sector requiring special attention, Jaitley's budget will be closely watched on Thursday.